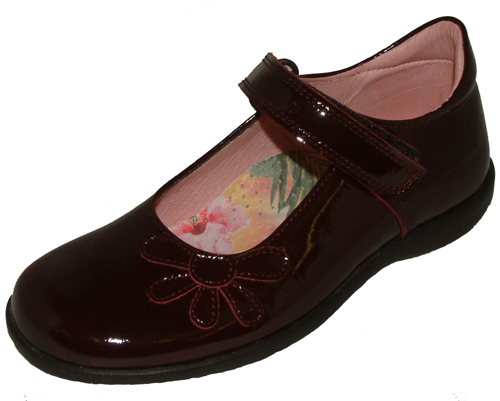 Petasil Bonnie – elegant style shoe, one of Petasil’s most popular designs. 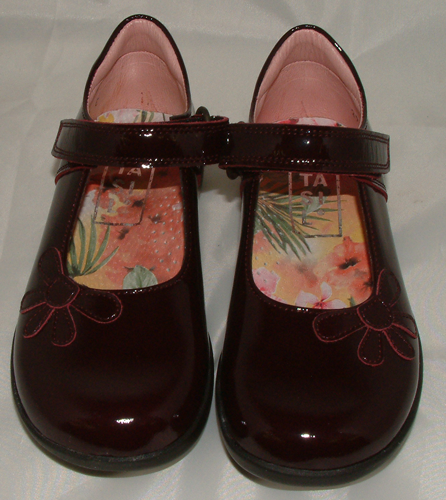 High quality burgundy patent leather upper with simple stitching detail and flower detail. 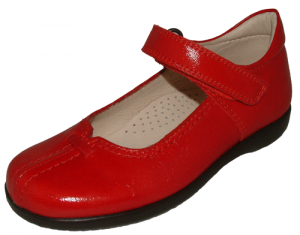 Fully leather lined including a leather insole. 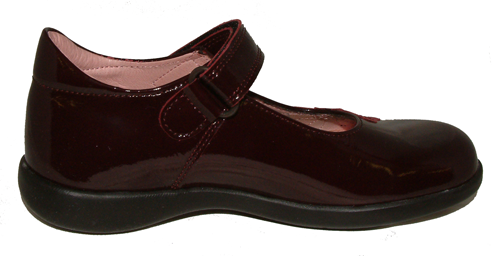 Padded insole with cushioned ankle & arch support for comfort. Full Velcro strap for swift & simple adjustability. 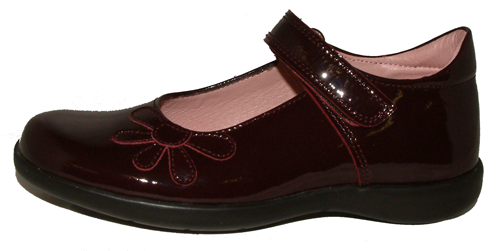 Flexible sole for ease of walking.